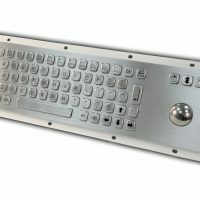 The Stealth model KYBX-400 series keyboard is an industrial grade Vandal Resistant Panelmount Keyboard with built-in optical trackball that is environmentally sealed to NEMA 4, 4X, IP65 specifications when installed properly. 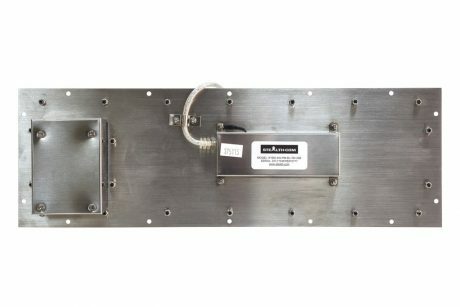 This rugged keyboard is housed in a rugged vandal resistant enclosure and will stand up to harsh, wet and dirty environments. 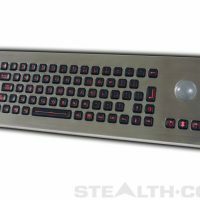 This Stealth keyboard features 71 full-travel keys with silent tactile feedback for fast and accurate data input functionality. 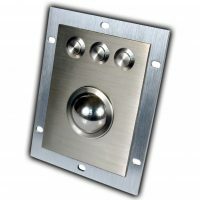 The 38mm optical trackball is sealed to NEMA 4, 4X / IP65 environmental specifications and offers a superior resolution of 800DPI. 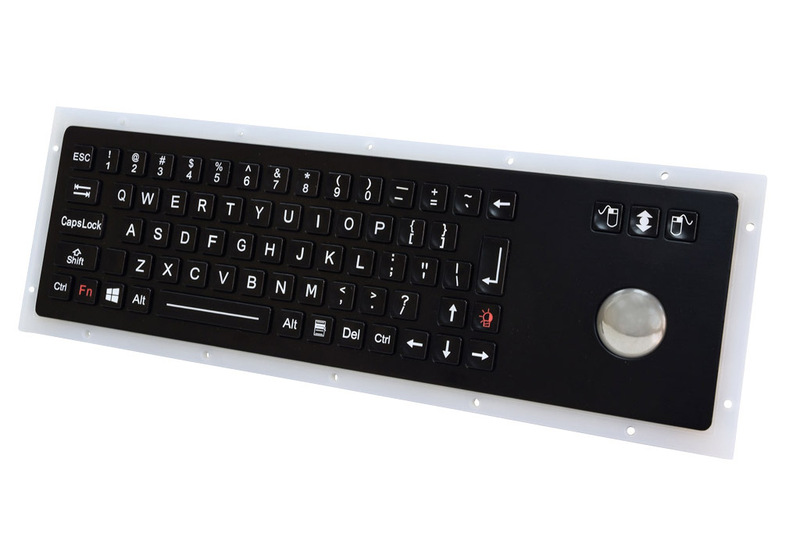 Stealth’s line of rugged kiosk/indestructible Keyboards also features NVIS-compliant red backlighting, which makes this keyboard ideal for military, aviation or vehicle applications where night vision goggles are worn. 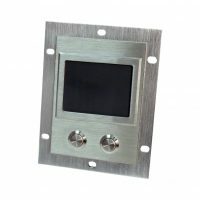 Ideal applications include in vehicle computing, plant floor, kiosks, control rooms, warehousing and outdoor environments to name a few.